Travel smarter with the Electron Wheel. 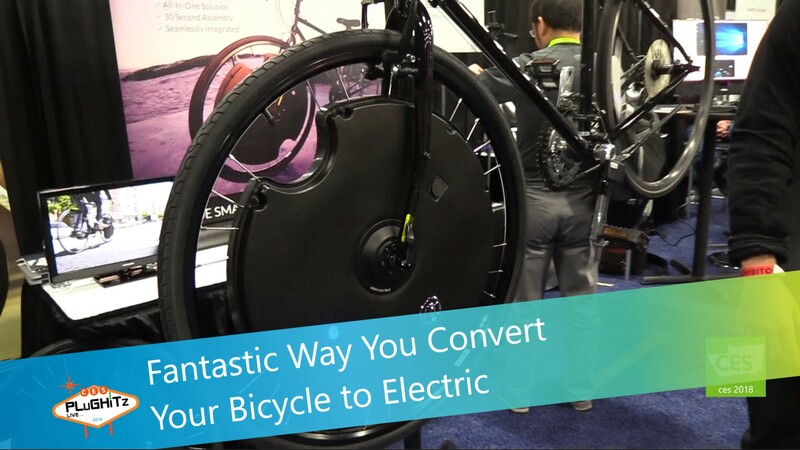 It will turn your trusty bicycle into a powerful hybrid e-bike that's ready to take you into the future of personal travel. The Electron wheel is an attachable motor you can connect to your front wheel that will give you a powerful boost while riding. This device can be fully installed in 30 seconds, without tools, to your front wheel and pedal. The wheel has a range of 50 miles and can reach speeds of up to 20 mph. A helpful aspect of this wheel is active hill assist, in real time it will automatically give you a boost when riding up a hill without having you interacting with it. As part of the e-bike community the Electron Wheel has a fully functional app that lets you control various functions of the wheel, such as power, assistance levels and battery life. An exciting announcement made here at CES 2018 is their new partnership with Google to integrate google assistance voice control. This will allow people when riding to change assistance levels or check battery life with just voice commands, such as being able to say "Hey google, check Electron Wheel battery life".